Home › Hillsong › Has Hillsong asked Sunday World to retract their story? The agency, whose megastar clients include Robert De Niro, Ben Affleck, John Travolta, Taylor Swift and Kanye West, is already reportedly negotiating a prime time small screen slot on Sundays with two networks. And, to help boost ratings, The Bieb has offered to help staff clergy by reading sermons and even appealing for donations on camera. Once again, we ask the question. Has Hillsong made any attempt to get Sunday World to retract their story? Hillsong should be ashamed cashing in on his popularity. What Justine needs to do is sit and be taught in a true Bible believing, God fearing gathering of saints so as to grow and learn. Not be thrown in the pulpit immediately. Can any words really adequately express how disgusting and self-serving an exercise this is on behalf of Hillsong? If Christians cannot see through this then there is absoutley no hope for any of them! Totally sickening! So why did Jesus die on the cross? Was it to transform the lost or to just make good, acceptable people look better? Back in the 80s a star named BJ Thomas had a similar experience. Major transformation. However, many many ‘holier than thou’ “Christians” (hate to even call them that) criticized, condemned and….well, eventually ran him right out of what should have been an embracing fellowship of transformed believers. Why do we have such a hard time accepting the transforming power of Jesus? Are we really that shallow as seasoned believers? There was A man named Saul who was a lot worse than Justin B. Folks had a hard time accepting his transformation at first. But some sensible believers came together and said, “Wait a minute, this is what we teach and believe. Jesus transformed us. Is God limited to only changing people who haven’t sinned ‘too greatly’?” The answer is NO, people! Paul went on to writer at of the New Testament under the direction of the Holy Spirit of God Himself. Why not embrace and encourage JB and see what God can do? 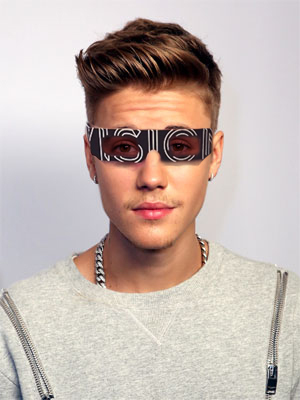 h2hdave – did you see anything particularly negative about Justin Bieber in the Sunday World article? Comes across as quite positive ‘reporting’ for a change. Would love to know where Sunday World sourced their story. Thanks h2hdave – and if Justin has been truly regenerated, it would be a good thing for him to find a church that takes him aside and nurtures him privately. A church that’s faithful to the gospel, not a movement that continues to endorse false teachers (T.D. Jakes among others). Bieber has been doing the rounds lately apologising for his past behaviour, is that evidence of new found faith? Who knows? But sadly we often see the rise and fall of famous false converts in these movements. My comments were made in the light of the phrase “delivering sermons from the pulpit”. There is not even a debate about the saving grace of our Lord for EVERY person. However, there is a huge distance to be travelled from experiencing and accepting that saving grace to “preaching from the pulpit”! That to me is just a church cashing in on the notoriety of Bieber in this case – and they DO have a habit of trying to cash in on “famous” names! Bieber’s testimony would no doubt be very powerful if he has invited Jesus into his life…………….. but “preaching”?…. You can’t seriously defend such an idea. A three month Bible course and suddenly you are qualified to “preach” (i.e. “teach”). No thank you……. there is far too much of this going on in churches today. I feel the Bible warns us very clearly about such things and gives valuable lessons about maturity. sp we believe the press over Hillsong. The pastors act with integrity. Can the same be said about them who generally anti Christian.